When you are not able to meet your business debt requirements with the funds, you are required to reduce your costs wherever possible. You can sell off your unused equipment or sublease your unused spaces. If you want to keep your business alive and running, trimming your workforce will not be a wise option. Create a list of all your business debts from all your different finance sources. You would be surprised to find out just how many business owners are unsure of exactly how much money they owe lenders. Once you create this list, you will have the benefit of knowing exactly how much money you owe. This makes it easier to tackle. Once you know how much you owe, you can start creating a plan to pay it all back. This is an important step to getting your business finances back on track. You should always stay connected with your customers for improving your business model and to find out various ways for increasing your exposure and thus an increase in the revenue. Good communication with suppliers will allow deferred payments and discounts whenever possible. Your business debts can easily be consolidated to a single payment which can decrease your overall monthly costs without a negative effect on your credit score. Thus, this kind of business debt consolidation loan can help your business in obtaining a loan with lower interest rate. It also allows you to deal with only a single creditor instead of dealing with many. The business debt consolidation company can take the entire responsibility of negotiating with your creditors, paying off your existing debts and collecting payments from your business. The loans can be secured with the business assets or you can choose entirely unsecured loans. 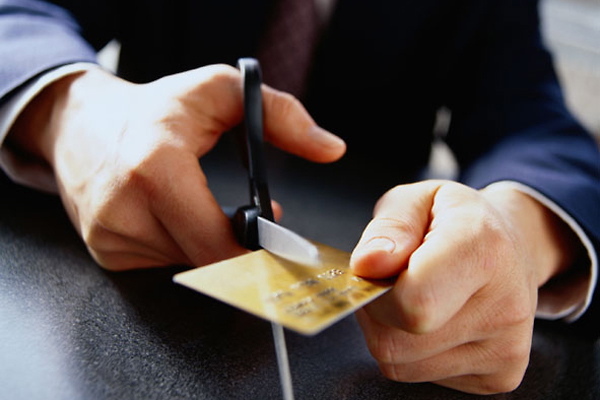 You should contact with your creditors and make them aware of your financial status. If you want to deal with a business debt problem, you should definitely act as early as possible. The solution should come out of mutual interests. You can restructure the options of repayment with your creditors or ask them to decrease the interest rates. When you find difficulties in negotiating with your creditors, you can hire a business debt consolidation company who can negotiate with your creditors on your behalf and settle the debts with the amounts less than what is actually owed. This is the option which can be used as the last resort where negotiation and business debt consolidation will not work. It is generally an expensive process which is often managed with the help of the bankruptcy attorney. If your business possesses assets that are less worthy than your debt, the bankruptcy option will allow paying only the worth of the assets and not the entire balance due. When you are out of options and want to shut down your business with huge debts, you can pay off your creditors by selling the business. It will make you free from the future obligations as you can repay your creditors. If you have no other option but to make your business the final expense, selling your small business is the way to go. You can also liquidate your assets for negotiating its distribution with your creditors. Most of the creditors will agree to settle with you for lesser amount than actually owed instead of litigation and bankruptcy. Hold on just a moment before you go consolidating business debt. The first thing you are going to want to do before debt consolidation is to meet with a consolidation counselor. These individuals are finance professionals who will help you to determine whether debt consolidation is the right choice for you and your business. Consolidation counselors will assess your business financial health and help you to devise a plan of action for debt relief. They will guide you through the process, and help you select the best consolidation plan for your needs, just as they were so helpful in doing when you were looking for business credit. If you want to consider debt consolidation for your business, request a meeting with a consolidation counselor before making any decisions. There can be some cases where you act as a personal guarantor of your business debt. Some creditors may also require that the business owner takes the responsibility of the lines of credit where you can be held liable for all the obligations unless you are released by your creditors. Bankruptcy should always be considered as the last option to settle business debt as it will negatively affect your credit report. Many businesses are getting confused when they get trapped in business debt. At that time they did not understand whom to ask about their situation. In such condition business persons must consult with debt consolidation companies. Because they have knowledge and experience of these situations and they know that how to handle the situations. The ways you have discussed in this article are really effective and which will give the right track to the people who are involved in business debt. To handle this situation, one can choose a debt consolidation loan and get relaxed. Thank you for this article.